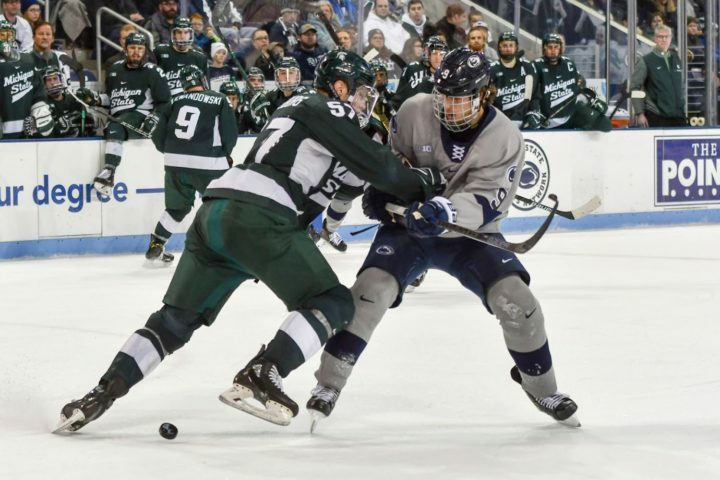 Penn State Alex Limoges goes up against Michigan State's Jerad Rosburg for control of the puck during their recent series. Penn State's Kevin Kerr moves the puck down the ice to the Michigan State net. 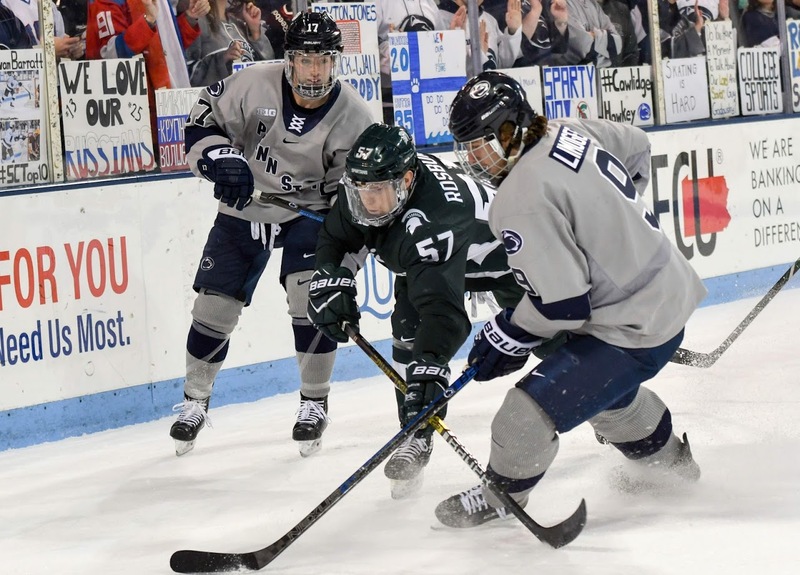 Penn State's Evan Barratt (17) and Alex Limoges (9) battle behind the net against Michigan State's Jarod Roseburg (57). 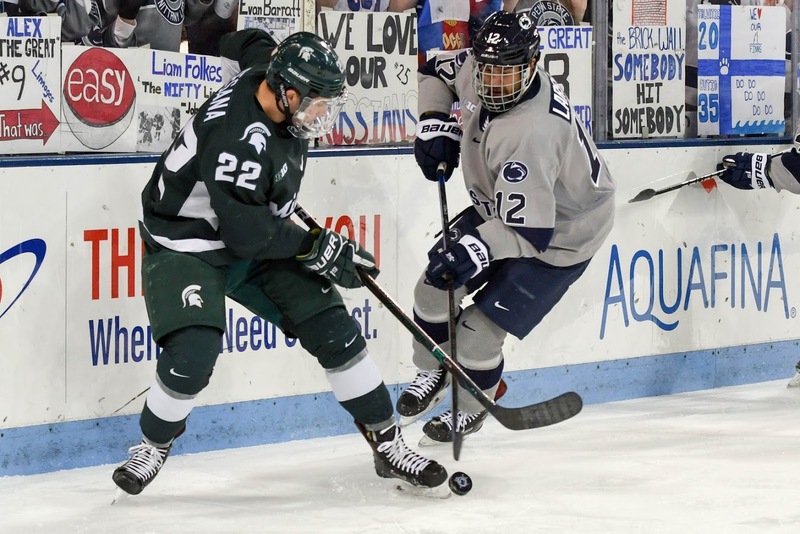 Michigan State's Dennis Cesana (22) battles Penn State's Ludvig Larrsson (12) behind the net. 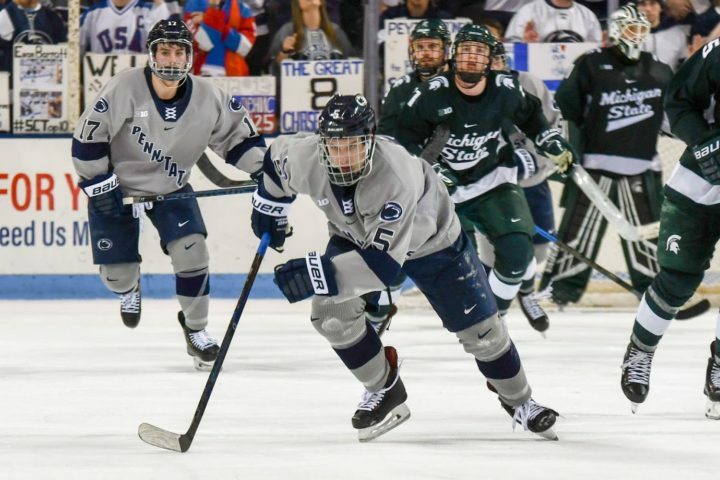 Penn State Men’s Hockey fail to complete a sweep of Michigan State and with the loss, drop to 13-7-2 on the year and 5-6-1-1 in Big Ten play while the Spartans improve to 7-12-3 overall and 3-7-2-2 in conference action.